How To Password Protect Folders In Ubuntu And Linux Mint ? As you know, Linux is a free operating system and when it comes to user friendly distributions Debian based Ubuntu tops the list with no real competitor. 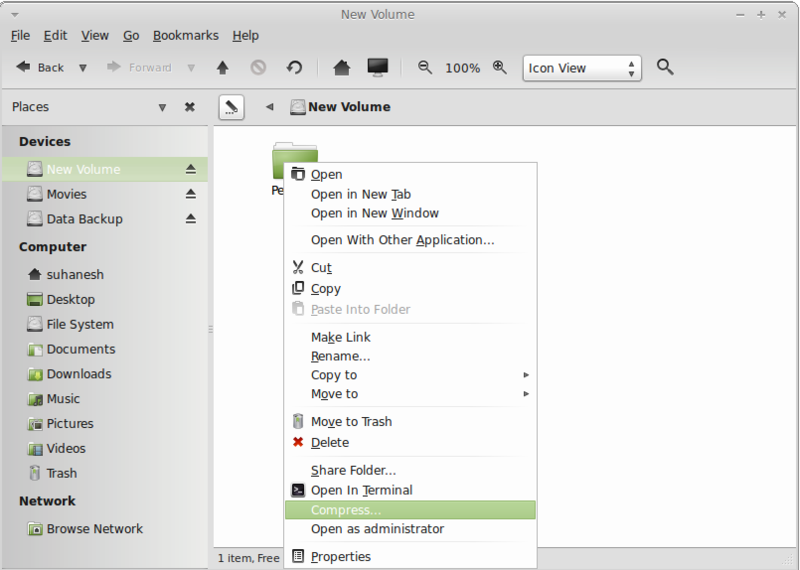 Linuxmint is also there because it is based on Ubuntu core and comes with only the stable packages in Ubuntu that makes it perform better. If you are a newbie on Linux and want to do the stuffs that you normally do on your windows PC then you must show patience to learn Linux basics. Today here we will show you how to protect your personal data with security encryption in Ubuntu/Linuxmint. Protecting your data is important If you are using any public PC such as in office or other work places. Most of us in these days look for any cloud service providers in this scenario but there is still some alternate solutions that works fine if the cloud services are not even accessible from your office/work location. You can protect your personal data by putting it in a password protected folder. In windows it is so simple to do with some third-party softwares such as folder lock or something else. 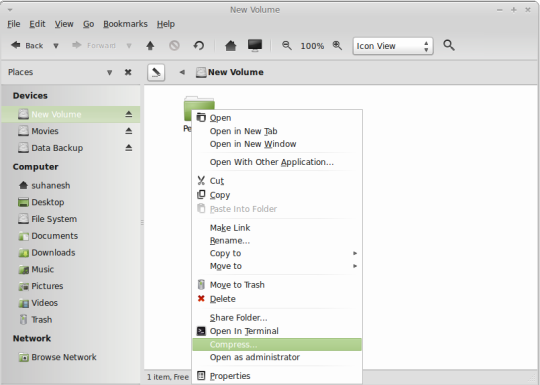 In Ubuntu and Linux mint case you can do it from the basic settings. Right click on the folder that you want to protect. Now select the compress option. A new window will appear same as below,select a compression format such as 7z, zip, tar, etc then click on other options. 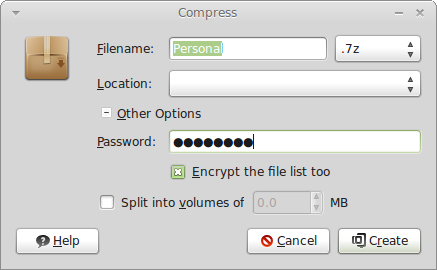 You have now compressed and password-protected your file/folder. No user can now extract the archive file unless you provides the correct password.